Home / News / Politics / The Roman Catholic Church claims that God is on Robredo’s side? 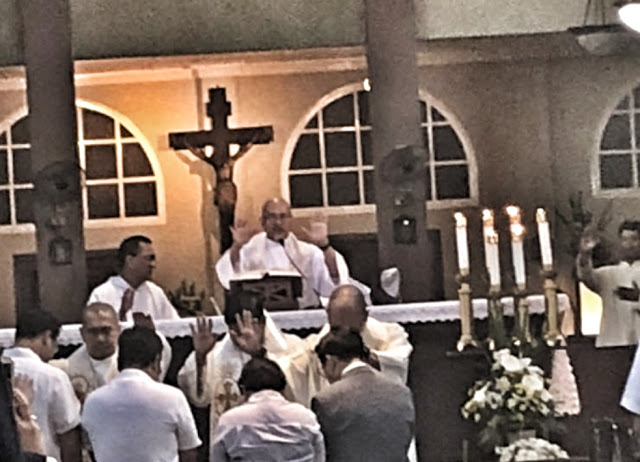 The Roman Catholic Church claims that God is on Robredo’s side? A body that was not supposed to be part of any kind of politics, a body that was supposed to be of complete neutrality, appears to be siding with Vice President (VP) Leni Robredo. The Roman Catholic Church is literally siding with Leni Robredo due to unknown circumstance and without the complete truth. Is this another manipulation of the Opposition? As posted on CNN Philippines, electoral lawyers of the current VP are being prayed over by the church. Little to the priest’s knowledge though that the 2016 electoral mishap may actually be due to Robredo’s partylist. 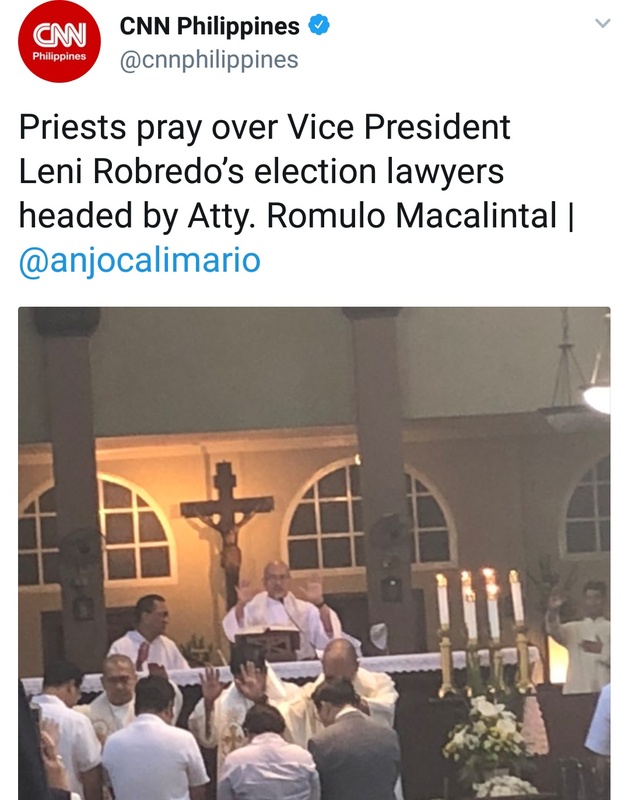 If the current VP is bound to actually be ousted from power due to this mishap, then the church will be in deep trouble since they sided with the sinful. The selection through elections is not a question of morals but rather of fairness in democracy, if majority of the people voted for Bongbong Marcos then isn’t it right that we respectfully oust Robredo, a fake VP? Laws and rules were created to assist humanity, and in governing, it is of utmost importance to adhere to it. Even if the church deems that God is on the side of Robredo.